At a time of year known for silent nights, it seems like a puzzle involving silent letters is completely appropriate. I’ve borrowed Shortz’s idea and extended it a bit; some of the clues in the list below have more than one silent letter added. Many items in the list are related to today’s holiday; and, because this is a math blog, the others are related to mathematics. In full disclosure, two of the answers are proper nouns. Of course, you could just use the numbers directly as 3 or 12. Or if your passengers know some advanced math, they could use square roots, exponents, and more to create other values. Can you split the digits within a number and use them separately? Can you concatenate two single-digit numbers to make a double-digit number? That’s for you and your traveling companions to decide. To play as a competitive game, have each person in the car try to get every value from 1‑20. It’s easiest to keep track if you require that players go in order. To make it a cooperative game, have everyone in the car work collectively to make every value from 1 to 100. As an alternative, you could use the numbers on license plates instead. When someone makes a mistake, that round ends. Start again, and see if you can beat your record. You can use whatever numbers you like, or modify the rules in other ways. For instance, what if bizz is for prime numbers and buzz is for numbers of the form 4n + 3? Could be fun! 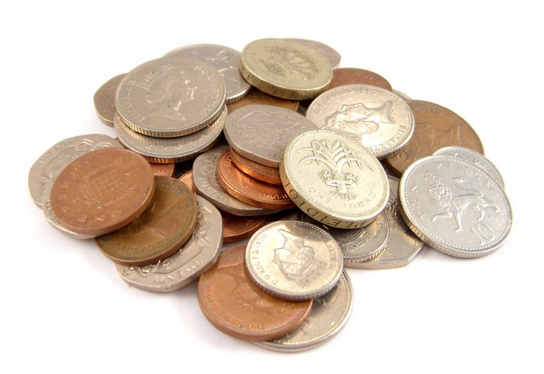 Nim is a math strategy game in which players take turns removing coins from a pile. Different versions of the game are created by adjusting the number of coins that can be removed on each turn, the number of coins in the pile originally, how many piles there are, and whether you win (normal) or lose (misère) by taking the last coin. A good aspect of Nim is that you don’t actually need coins. To play in the car, players just need to keep track of a running total in their heads. A version of Nim dubbed 21 Flags was played on Survivor Thailand several years ago. There were 21 flags, and each team could remove 1, 2, or 3 flags on each turn. The team to remove the last flag won. This is a good first version to play in the car, especially for young kids who have never played before. Then mix it up by changing the initial amount and the number that can be removed on each turn. Three-Pile Nim consists of not just one but three piles with 3, 5, and 7 coins, respectively. On each turn, a player must remove at least one coin, and may remove any number of coins, but all removed coins must be from the same pile. Finally, Doubling Nim is played as the name implies. On the first turn, a player may remove any number of coins but not the entire pile. On every turn thereafter, a player may remove any number of coins up to double the number taken on the previous turn. For instance, if your opponent removes 7 coins, then you can remove up to 14 coins. For every version of Nim, there is an optimal strategy. We’ve wasted hours on car trips discussing the strategy for just one variation. Discussing the strategies for all the versions above could occupy the entire drive from Paducah to Flint. One person picks a number, others ask questions to try to guess the number. The simplest version is using “greater than” and “less than” questions. Is it greater than 50? Is it less than 175? And so forth. Using this method, the guessers can reduce the number of possibilities by half with each question, so at most, it should take no more than n guesses if 2n > m, where m is the maximum possible number that the picker may choose. For instance, if the picker is required to choose a number less than 100, then n = 7, because 27 = 128 > 100. Truthfully, this version of the game gets boring quickly, but it’s worth playing once or twice, especially if there’s one picker and multiple guessers. And a conversation about the maximum number of guesses need can be a fun, mathy way to spend 15 minutes of your trip. A more advanced version excludes “greater than” and “less than” questions. Instead, the guessers can ask other mathematical questions like, “Is it a prime number?” or “Do the digits of the number differ by 4?” Those questions imply, of course, that the answer must be yes or no, and that’s typical for these types of guessing games. If you remove that restriction, though, then guessers could ask questions that reveal a little more information, like, “What is the difference between the digits?” or “What is the remainder when the number is divided by 6?” With this variant, it’s often possible to identify the number with two strategic questions. Four people come to a river in the middle of the night. 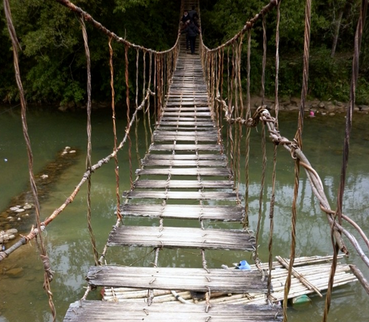 There’s a narrow bridge, but it’s old and rickety and can only hold two people at a time. They have just one flashlight and, because it’s night and the bridge is in disrepair, the flashlight must be used when crossing the bridge. Aakash can cross the bridge in 1 minute, Britney in 2 minutes, Cedric in 5 minutes, and Deng in 8 minutes. When two people cross the bridge together, they must travel at the slower person’s pace. And they need to hurry, because zombies are approaching. (Oh, sorry, had I failed to mention the zombie apocalypse?) What is the least amount of time that all four people can cross the bridge? And how can you be sure that your method is the fastest? Marilyn has a simple balance scale and four small weights, each weighing a whole number of grams. With the balance scale and these weights, she is able to determine the weight of any object that weighs between 1 kg and 40 kg. How much does each of the four weights weigh? Assign each letter a value equal to its position in the alphabet, i.e., A = 1, B = 2, C = 3, …, Z = 26. Then for any common word, find its product value by multiplying the value of the letters in the word. For instance, the product value of CAT is 60, because 3 × 1 × 20 = 60. Find as many common English words as you can with a product value of 60. This one looks so innocent! What’s the probability that a randomly chosen number will contain the digit 3? But spend a little time with it. And prepare for. Mind. Blown. No calculators for this one. There are four positive numbers — 1, 3, 8, and x — such that the product of any two of them is one less than a square number. What is the least possible value of x? Just some good, old-fashioned algebra and logic to tackle this one. Which of the following expressions has a greater value? At the holidays, Leo drove to his grandma’s, and the traffic was awful! His average speed was 42 miles per hour. After the holidays, however, he drove home along the same route, and his average speed was 56 miles per hour. What was his average speed for the entire trip? And, no, your first guess was most likely not correct. A moldy oldie, to be sure, but this puzzle is always a crowd-pleaser for those who haven’t seen it before. Use the digits of the new year — 2, 0, 1, and 9 — and any mathematical operations to form the integers from 1 to 100. For instance, you can form 1 as follows: 2 × 0 × 9 + 1 = 1. For an added challenge, add the restriction that you must use the four digits in order. My sons get sick when they read in the car. That’s why I love the two books Without Words and More Without Words by James Tanton. Literally, there are no words! 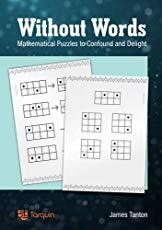 Each puzzle is presented using a few examples, and then students must follow the same rules to solve a few similar, but more challenging, puzzles. Wherever you’re headed during the holiday break — driving to your relatives’ house, flying to Fort Lauderdale, or just relaxing at home — I hope your holidays are filled with joy, happiness, and lots of math! The volume of the 1970 world population is less than the volume of the Houston Astrodome. That is, if you packed all of the people on Earth who were alive in 1970 — all 4 billion of them — as tightly as possible, they would’ve actually fit in the stadium, and they could’ve seen Evel Knievel jump 13 cars or Billy Jean King defeat Bobby Riggs. The Astrodome, originally named the Harris County Domed Stadium, was dubbed the “Eighth Wonder of the World” when it opened in 1962. Before you read any farther, you might wish to do a Fermi estimate to verify the reasonableness of this claim. Bates and Smith argue that the average human body has a volume of approximately 2 cubic feet. Their argument? That water weighs 62.5 pounds per cubic foot, and “the human body consists mostly of water.” Fair enough, if we think that an average human weighs about 125 pounds, which they probably didn’t, even in the 1970s.) Personally, I would’ve attacked the estimate a little differently. An average human can fit in a box that is 6 feet tall with a base that measures approximately 0.5 square feet — I know; I’ve been to funerals — and such a box has a volume of 3 cubic feet. But there’s a fair amount of wasted space in that box so, yeah, 2 cubic feet seems like a reasonable estimate. 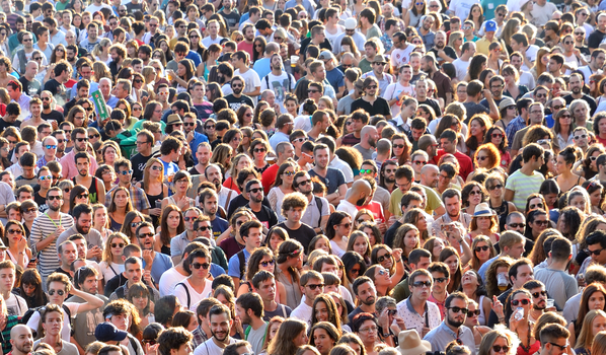 Therefore, the world population in 1970 would have had a combined volume of 8,000,000,000 cubic feet. But Bates and Smith then make their statement about the Astrodome, with no calculations or estimates about the volume of the stadium to justify the claim. Please understand, I don’t fault Bates and Smith; as I understand it, the claim about everyone fitting in the Astrodome was a ubiquitous factoid during the decade of bellbottoms and disco. Still, you’d think that two mathematicians would have checked the stat before including it in a book. Although this is surely an overestimate, it’s still an order of magnitude too small to fit the world’s population in 1970. There’s not nearly enough space to store all those buggers. Bates and Smith state that the volume of the 1970 population “takes up about one-eighteenth of a cubic mile.” And I think therein lies the error. The height of the Astrodome is just shy of one-eighteenth of a mile, and the diameter is a whole lot more than one-eighteenth of a mile, so someone (incorrectly) assumed that a container with those dimensions would easily hold 1/18 cubic mile. But that’s not right. As any geometry student will tell you, shrinking each dimension to a fraction of its original length results in a volume that is the cube of that fraction. Oops. The diameter of the Astrodome is about 1/7 of a mile, and the height is about 1/22 of a mile, so its volume would have been less than 1/1000 of a cubic mile. So, what container would have been big enough to hold the 1970 population? Things have changed. Today, we are bumping up against 8 billion people worldwide, the Astrodome was declared “unfit for occupancy” in 2016, and instead of calculating the volume of stadia, we can simply use Google to find the volume of some really large places. 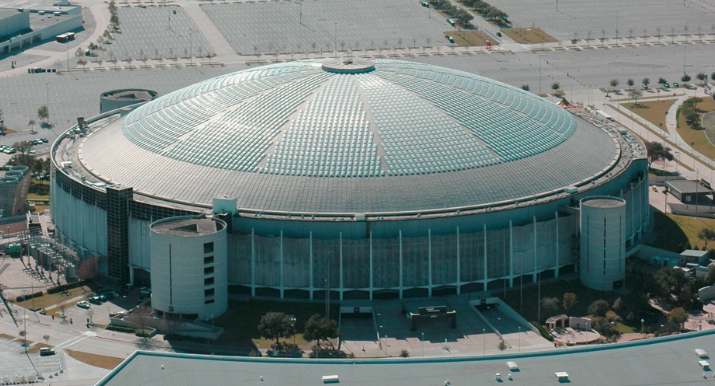 In fact, Google claims that the volume of the Astrodome is 42,000,000 cubic feet. If we can believe what we read, then the calculations above were, sadly, unnecessary. So, you may be wondering, what places in the world could hold all of us? That is, what has a volume of 16,000,000,000 cubic feet? 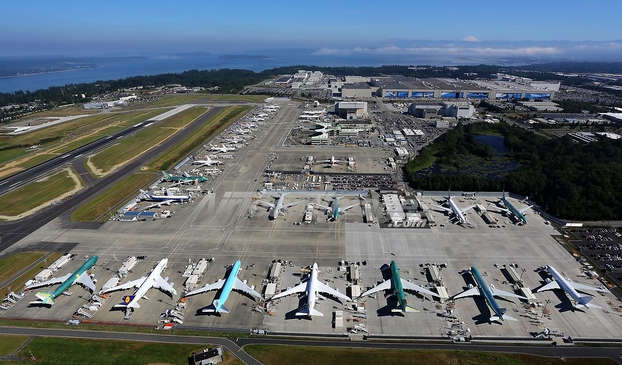 The building with the greatest volume in the world is the Boeing Everett Factory. It has a volume of almost 500,000,000 cubic feet — which means you’d need 32 of them to fit today’s world population. The manmade structure with the greatest volume is the Great Wall of China, tipping the scales at just under 20,000,000,000 cubic feet. That would be large enough, though how would you get all of those people inside? For easier packing, you could turn to nature and just dump everyone into Sydney Harbour, which has a volume of 562,000 megaliters, or about 19,500,000,000 cubic feet.